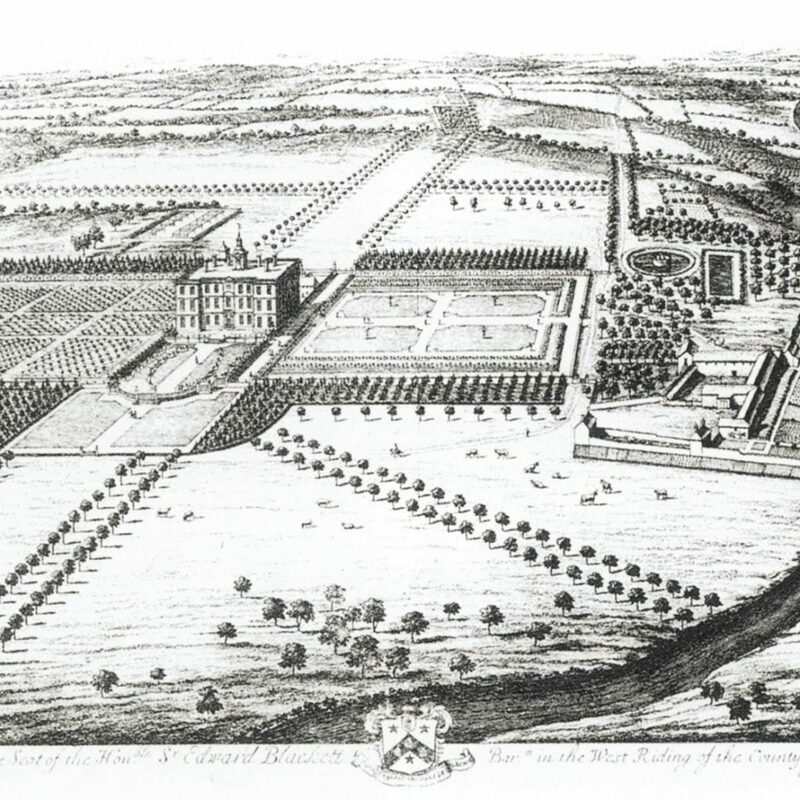 Designed by Christopher Wren Newby Hall was built between 1691-1695 and shortly afterwards the owner, Sir Edward Blackett, commissioned Peter Aram as head gardener to lay out formal gardens and avenues in keeping with the period. Very little of Aram’s layout for Newby remains today, with the Lime Avenue to the far west being the only area of this elaborate design remaining within the garden. Interestingly there is another section of the radiating Lime Avenues on the Kip engraving extending through the farm land towards Ripon Cathedral. The working area – bothy, stables, kitchen garden etc can be seen much further west than they are now. These original structures are close to the foundations of the earlier Newby house, which Blackett demolished. The Victorian input can be seen in the picture above showing the intricate parterre with scrolls, coloured gravel and beyond the balustrading ivy clad iron hoops. 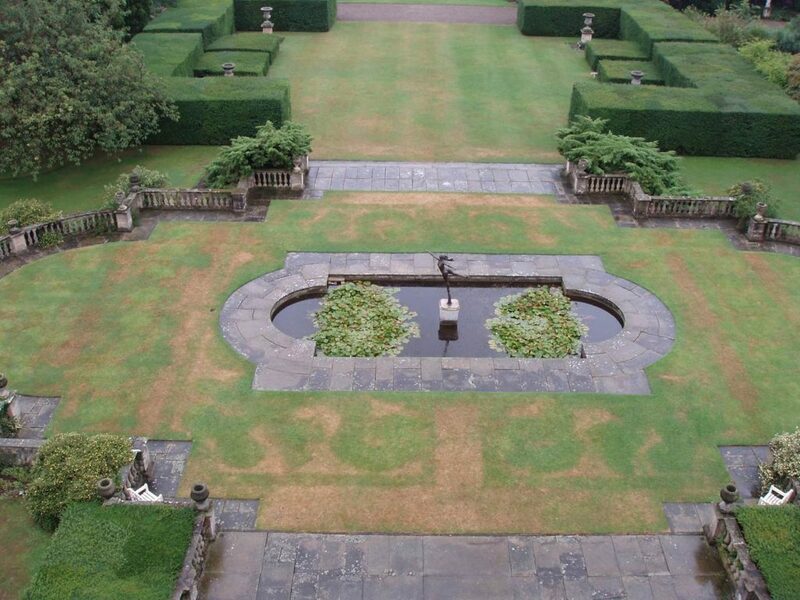 Today during very dry spells the grass turns brown where the original gravel paths were, showing in great detail the precise layout and dimensions of the parterre. The balustrading you see was later moved further south just above the Herbaceous Border by Major Compton. 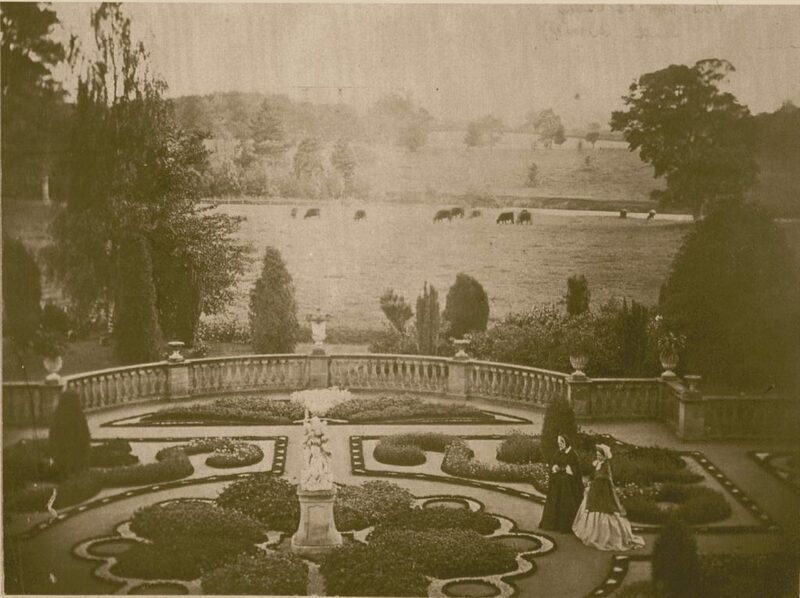 In the Victorian image, the grazing field between the parterre and the river is now our main double herbaceous border. The present design is largely attributable to the present owner’s grandfather, Major Edward Compton, who inherited Newby in 1921. 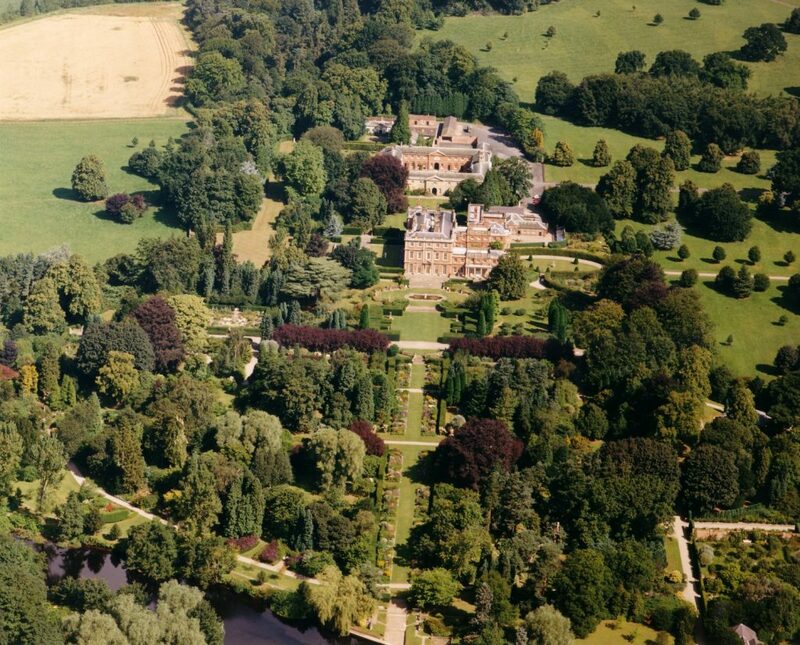 Influenced by his friend Lawrence Johnston’s Hidcote Manor in Gloucestershire, Major Compton decided to create a main axis for the garden, running from the south front of the house right down to the River Ure. The axis consisted of double herbaceous borders flanked by double yew hedges, with a broad grass walk running down the middle. Off this he planned compartmented gardens of formal design, like rooms off the main passage of a house – each filled with plants to be at their best in different seasons – truly a ‘Garden for all Seasons’. 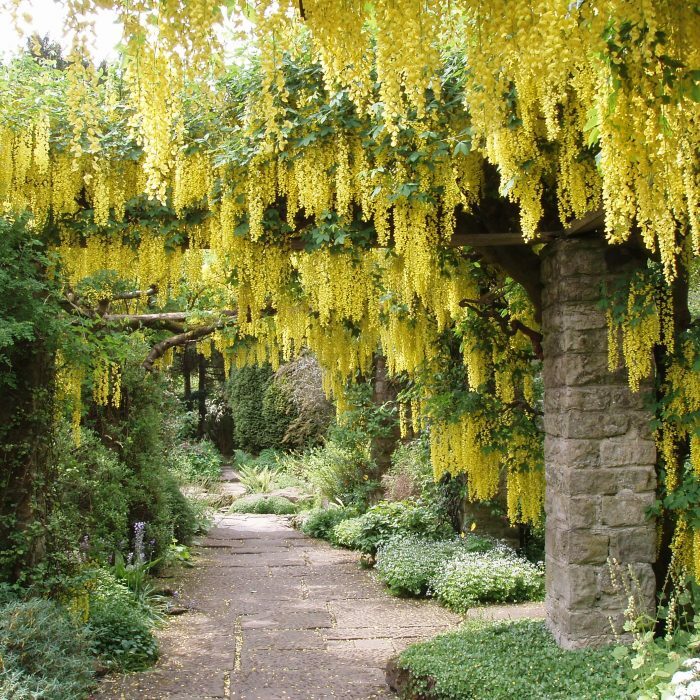 The gardens he created over a period of 50 years cover 40 acres, and make a great contribution to 20th century gardening design. Major Compton died in 1977, and left a daunting challenge to the present owners’ parents, Mr and Mrs Robin Compton. His ‘Grand Design’ needed labour-intensive maintenance, and unfortunately this wasn’t given in his later years, allowing the garden to fall into a sorry state. 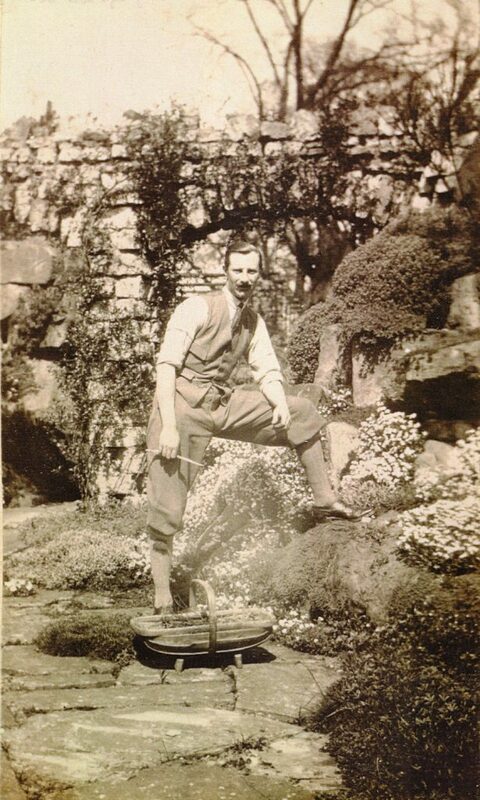 Fortunately Robin Compton VMH had spent most of his leisure hours, away from business activities, gardening and studying plants and how they behave and Jane Compton was also passionately interested in flowers, possessing an unusual flair for colour and design. They totally restored and replanted these lovely gardens over a ten year period. It was a well deserved honour to win the BTA Heritage Award acknowledging their outstanding contribution to tourism for the restoration of Newby Hall and Gardens, and the HHA/Christie’s Garden of the Year Award. We regularly feature in the Yorkshire in Bloom winners list with the recent highlight being overall category winners in 2011. 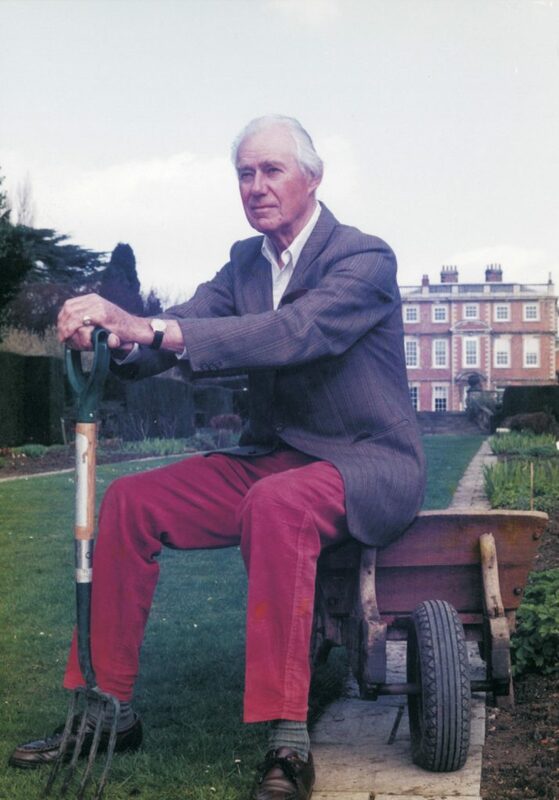 The Gardens provide a fitting tribute and memorial to Mr Robin Compton who with passion and enthusiasm continued the garden’s development after his fathers’ initial Grand Design. Mr Robin Compton died in November 2009. The management of the Gardens has been taken over by Mrs Lucinda Compton alongside Mark Jackson, Head Gardener. Along with the dedicated team and invaluable volunteer help we are all enthusiastic about both maintaining the high standard of the garden and also taking it forward to even higher levels. You will see lots of interesting plants as well as renovation of existing areas, combined with new developments and themes. We are very fortunate to have inherited such a solid garden design, and to be honest there is no need or desire on our part to change the near perfect balance of the garden layout. Instead we can concentrate on growing and grouping good plants, to create a beautiful garden. 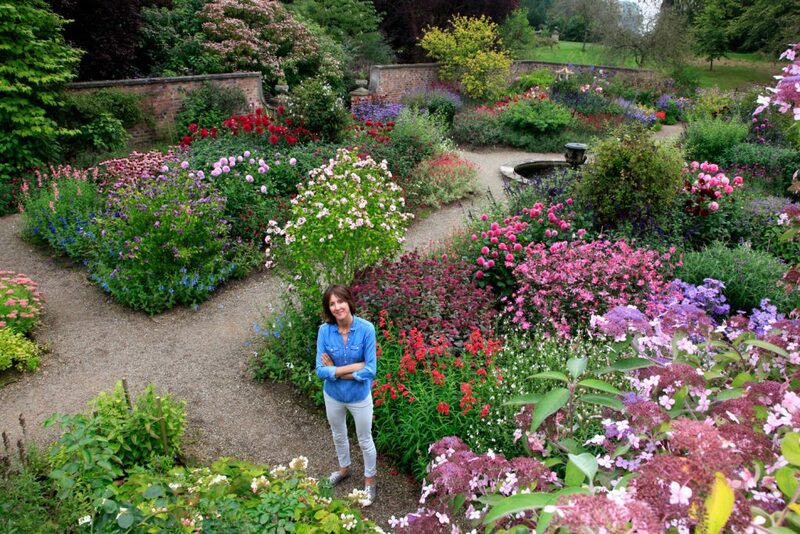 What is clear, is that it is both a privilege and honour to be involved in the magnificence of Newby Hall Gardens. 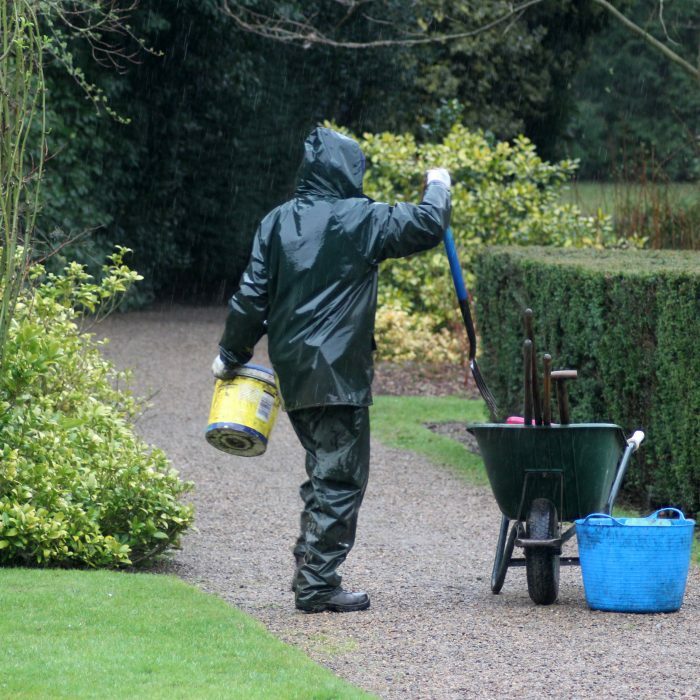 As custodians of a great garden – the future? As mentioned earlier, the garden design as you see it on your visit today is relatively modern. There is undeniably a much older and mature feel to the garden largely due to the wonderful trees all around; Beech, Oak and Lime stand majestically over colour below. As with so many garden landscapes those who planted these trees never saw them in their full glory, they planted with a vision for the future, and so it is for us today. We too must look 200, 300 or even 500 years ahead and plant appropriate trees. We all hope the garden, in the future, will not change too dramatically, and that our small input will be appreciated and valued. Much has been written about climate change on both sides of the argument, and without getting bogged down in the debate, it may influence the plants we grow, particularly the trees we select.